Yeast Starters - Your average pack of yeast is designed to ferment an average strength ale, usually about 1.040 starting gravity. Fermenting a beer up to about 1.060 in gravity is no problem for a single yeast pack, but a gravity higher than this presents some special challenges to the brewer. You can easily imagine that a beer with twice as much sugar to ferment is going to need at least twice as many yeast cells. It also helps a lot if the yeast cells are healthy and active instead of dormant. Making a yeast starter dramatically increases your yeast cell count and also gets the yeast active and ready to ferment. If you don’t make a starter for a strong beer, the yeast will likely not be able to handle the high amount of sugars and will leave the beer sweet and uncarbonated. Lager fermentation greatly benefits from the use of a yeast starter, as the higher cell count will reduce the lag time before fermentation begins and help prevent off-flavors. Yeast starters are easy; you just boil a small amount of water and malt extract, cool the mixture down, and combine with the yeast in a vessel with an airlock or foam stopper. 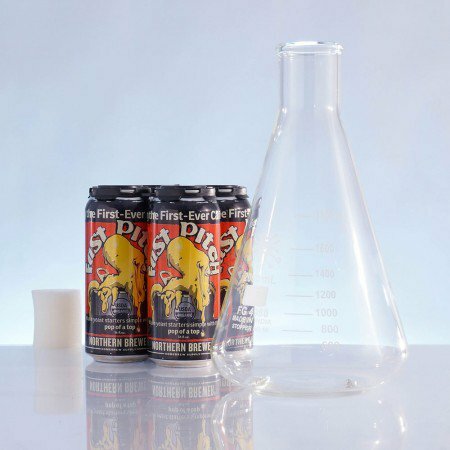 For our yeast starter kit and detailed instructions and video on making yeast starters, click here. Please note that the Wyeast smack packs are not yeast starters by themselves. If you cannot make a yeast starter, you can pitch additional packs of yeast, but this is not as effective as making a starter. Two-Stage Fermentation - Some say that there is an extra ingredient when making big beers: time. In general, the bigger and more alcoholic the beer, the longer it takes to be ready. When you are aging the beer before bottling for more than a month or so, it is important to rack the beer off the yeast and other sediments that fall to the bottom of your primary fermentation, otherwise you may wind up with undesirable off-flavors. The transferring and extra time also result in a clearer beer. 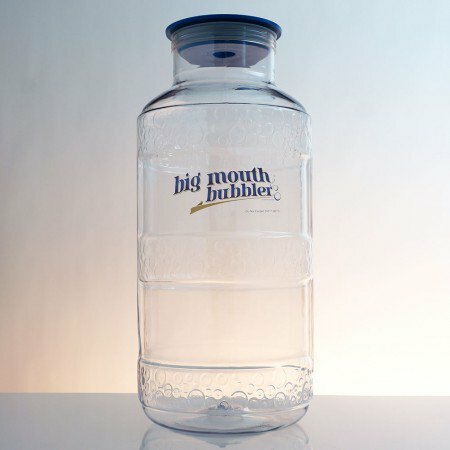 The period of aging after racking the beer off the sediment but before bottling is called secondary fermentation, and it is best accomplished by using a 5-gallon glass carboy or Big Mouth Bubbler® as a storage vessel. Our extract kits all contain detailed instructions on secondary fermentation. Cold Fermentation - What makes lager and ale different? The main difference is the temperature they are fermented and stored at. Ales can be fermented at room temperature, but lagers must be fermented at cool temperatures, usually between 45-58 degrees Fahrenheit, and then transferred to a secondary fermenter for a period of cold storage, or lagering, at about 35 degrees. 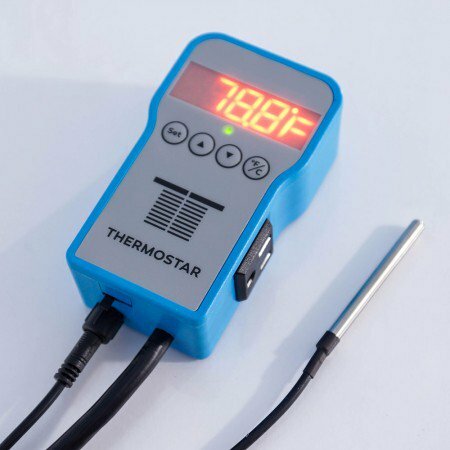 This cold fermentation and lagering can generally only be accomplished by using a fridge with a temperature controller. However, for the homebrewer without the ability to do cold fermentations we offer a couple hybrid lager kits that can be brewed at ale temperatures, like the John Q. Adams Marblehead Lager, or the Kolsch.